What Size Rotary Transfer Machine Suitable For Sublimation Printing Business? 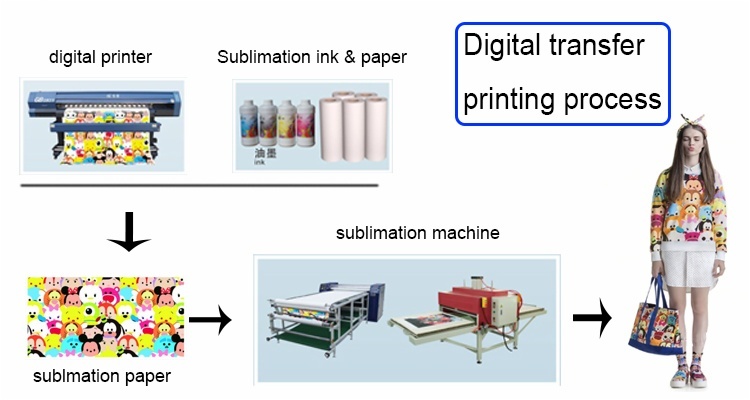 -Fei Yue Digital Inc.
What Size Rotary Transfer Machine Suitable For Sublimation Printing Business? The width of a rotary heat press machine is usually stated at 1.7 meter or 68”, then 2.6 meter or 100” and up to 3.2 meter or 130” wide. The actual heat press is much larger, with this being the drum width and approximate nomex belt width. Our Sublistar oil filled drum heat press machine come in a variety of configurations that meet entry level, middle level and extremely large volume requirements. We work closely with you to select the right size heat presses for your current and future production needs. Our machine production line covers the 1.2m and 1.7m entry level with an 200mm diameter of oil filled heat press drum. Belt widths are slightly larger on these and they are quite affordable, costing about 1/2 less than most presses on the market. The oil filled drum rotary heat press offers more uniformity and consistency than the IR or electric heat type. If you are serious about quality, then oil press rotary heat transfer machine is the choice. Multi-function versions run in the 1.7 meter or 1.9m, then 2.6 meter or 100” and up to 3.2 meter or 130” wide on the RTR or roll to roll larger unit, including auto feeding system, automatic adjusting device prevents blanket deviate while working, one inflatable shaft ensures putting cloth and paper with no excusion. Sizes of oil filled drums in the more industrial strength versions run from 420mm, 600mm, 800mm and 1 meter sizes. There is also a 1.5 meter size in the HS or High Speed model for extremely large volume requirements. A detailed chart with drum sizes and drum or press width is available on our web site or by contacting us. 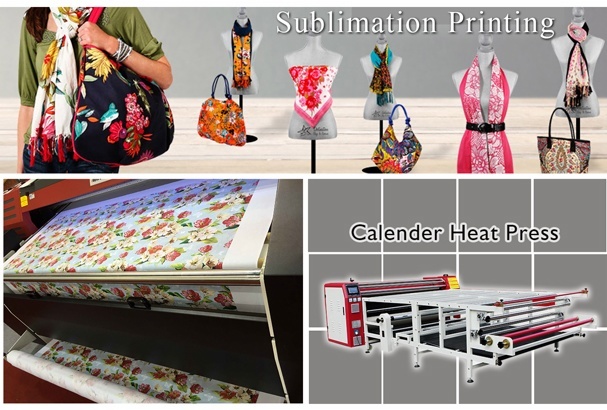 As consultants and providers to the dye sublimation printing industry, by providing the right dye sub wide format printers and matching them to the right heat press solutions, we can offer your group a turnkey equipment package to meet your production needs. Next:What Do You Know about the Ghosting of Sublimation Paper ?